Wow - it's been kind of quiet over here in the land bog, but we have some news to share! Read all about it in the Featured News section of the blog by clicking this link. 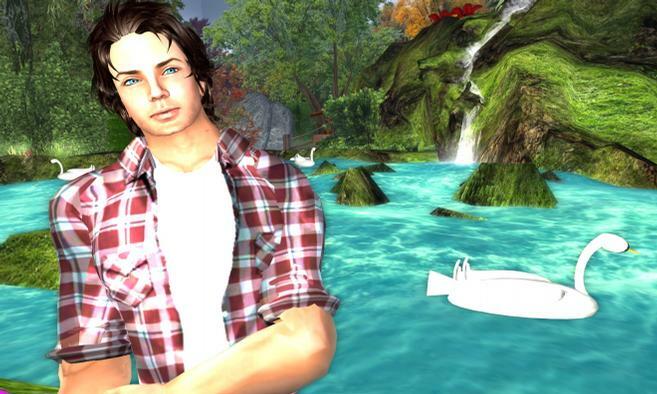 The quick version is that the Second Life product team has added the ability for private Estate Owners to do Region restarts via the web - and introduced a new 'Safe Mode; that will help disable scripts, physics and collisions in order to make it easier to get in and remove issue causing items. Read the full blog in featured news - it's worth it! Calling all Landowners! This Project Viewer is definitely one that you’re going to want to try out. So, you know the story: You have a vampire-themed area in Second Life and each Resident who visits your space has to adjust their personal environment settings to get the full spooky nighttime effect. Or, you’ve invited a bunch of friends to a sunset beach party and some of them have their environment settings at midday--not exactly what you had in mind. You’ve long dreamed about the day when you can control the environment settings for all Residents visiting your space. We’re happy to say that your dream has now come true. The Environment Settings (Windlight Region Settings) Project Viewer, available today, gives you the opportunity to try the new region environmental controls that include sky, water, and day cycle settings. This feature gives landowners and region managers the ability to customize and define unique environmental region settings that are automatically shared by others in that region (unless those users have chosen personal overrides). Now, your vampire destination will always be dark and scary and everyone at your beach party can enjoy a perfect, beautiful sunset. One last thing before you get started. For now, everyone in your region must be using this Project Viewer to see the customized environment you’ve set. Otherwise, the lighting will appear as it as it would normally. When we’ve completed this trial, and made any needed changes, we’ll roll this feature into the SL Viewer Beta and eventually, the main SL Viewer. To make Mainland parcels easier to purchase, we have implemented a new system that automatically takes recently abandoned Mainland parcels and makes them available for Mainland landowners and Premium account members to buy directly at discounted rates. By using the new system, you no longer have to go through Support, which was a longer and more involved process. Start by looking at the Mainland on the World Map, and enabling the check box “Land for Sale.” When you find a parcel that you might be interested in, check out the owner. If the parcel is owned by Governor Linden and marked, “Abandoned Land - For Sale,” then you can purchase it by clicking on the “Buy Land,” button. Today, we are pricing abandoned land at L$1 per square meter (pricing subject to change) and, of course, the regular monthly tiered land costs apply for ongoing maintenance. Over time, we may also make older abandoned land available for sale, using the same process. Our goal is to increase the Mainland occupancy for a more active and beautiful environment for all to enjoy. For more more detailed information, take a look at this wiki page. So, if you’ve ever been thinking about owning your very own piece of the Mainland, or expanding your current holdings, then now is a great time to take a look and snap up some great properties. Imagination will take you everywhere. But, in Second Life, finding a place to create and build isn't always so easy. In fact, it can even be a bit stressful if you aren't prepared or lack knowledge about how land works. Before you take the plunge to acquire your own land for a dream home, business, club or art project, it might be helpful to read what one independent blogger has to say about the process. Second Life resident Apollo Manga recently created a useful series of blog posts to address the various steps and potential pitfalls in acquiring land within Second Life. In his multi-part series for Examiner.com, Manga weighs the pros and cons of getting land on the "mainland" vs. a "private region." For example, did you know that you don’t have to be a paying Second Life member to acquire land in a private region? Also, it’s important to know the rules for any private region you acquire — they are published and viewable in the land’s associated “Covenant” (accessible by right-clicking the land, then selecting “About Land” and the “Covenant” tab). Manga also gives tips and tricks that will help you better use Second Life Search and the World Map to identify the best property for your needs. Of course, there's also the official Linden Lab Land Buying FAQ, too. To get a feel for the types of property available in Second Life, you can browse listings on the Second Life Marketplace for mainland and private island locations. Unfortunately I won't be able to run my usual hour long office hour today. Apologies to those that had planned to attend, I know it's slightly late notice. Normal service should be resumed at the usual time (Thursday 11am PST) next week. 1) All retail private region maintenance, including grandfathered pricing, is expected to continue without increase through Dec. 31, 2011. What you pay now, as a retail customer, is what you’ll continue to pay through the end of 2011. 2) We will adjust how education and non-profit advantages are provided, effective Jan. 1, 2011. All education and non-profit private regions of any type, purchased after Dec. 31, 2010, will be invoiced at standard (i.e. non-discounted) pricing. All currently discounted renewals which occur after Dec. 31, 2010, will be adjusted to the new price at that time. To continue to provide entry-level, private spaces to educators just launching their programs, we will be providing Homestead and Open Space regions to qualifying organizations without their meeting the retail full-region criterion. Customer Support will be available to answer any questions that you may have about these changes. We hope that these announcements help you effectively plan for the coming year. And, we’ll continue to update you well in advance of any additional pricing changes.